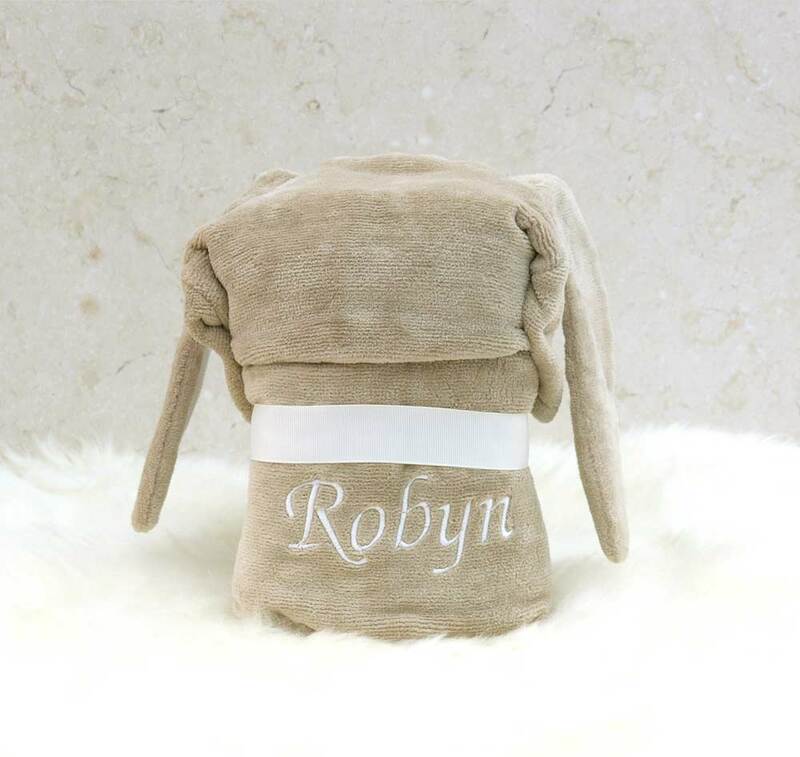 Hazel Bunny baby towel is made using the softest and most absorbent 100% velour cotton terry towelling which stays plush, wash after wash.
For a really special touch, why not personalise your new Hazel Bunny baby gift towel with your choice of name beautifully embroidered on the back. 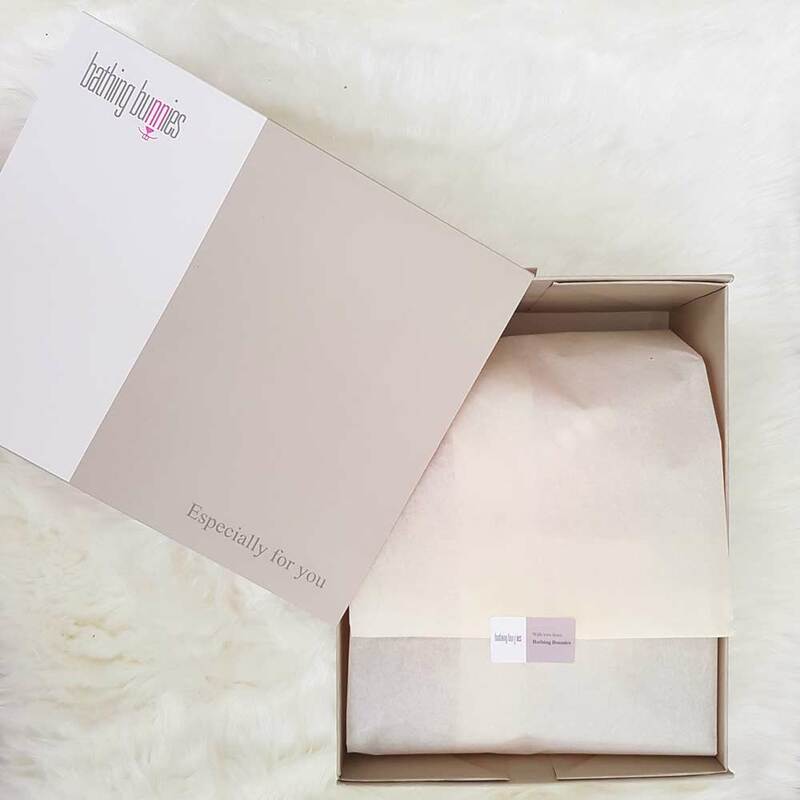 If you select the gift-wrap option, we will present your Hazel Bunny baby towel in a Bathing Bunnies gift box lined with tissue paper to make a very special baby present. Introducing the newest Bunny in the Bathing Bunnies burrow! 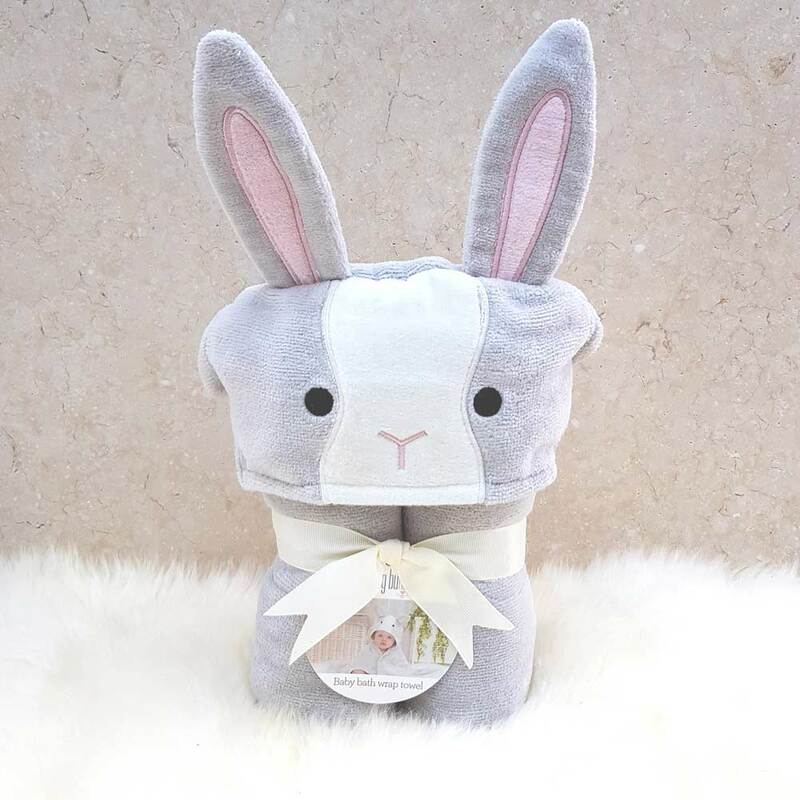 Hazel Bunny's soft neutral tones make her the perfect gift for a bonny bouncing baby girl or boy! 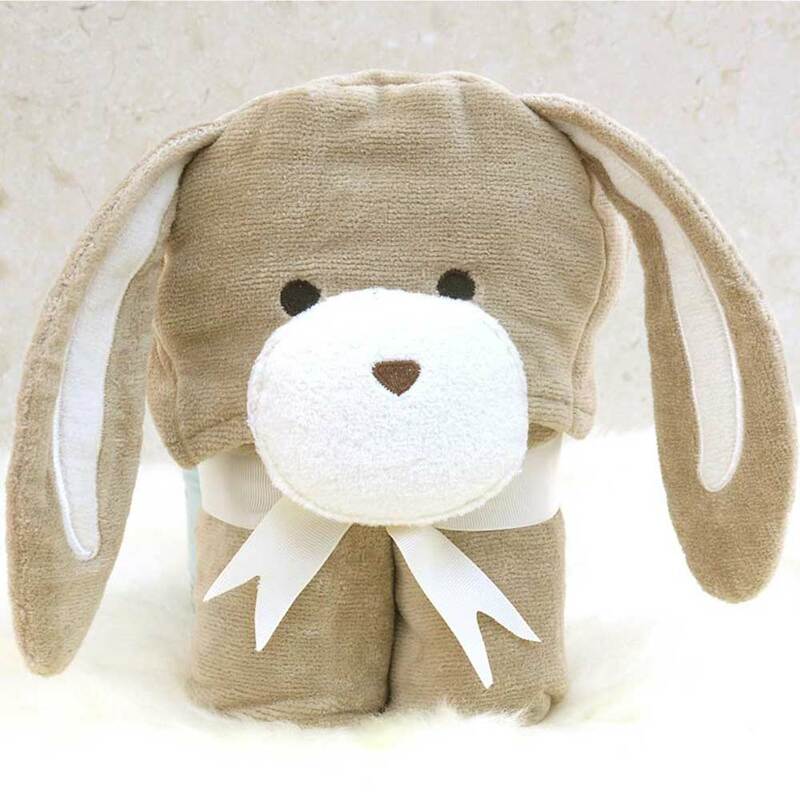 Hazel Bunny has cuddly long floppy ears and is cleverly folded and beautifully presented with a cream ribbon to create a freestanding soft 'toy'. 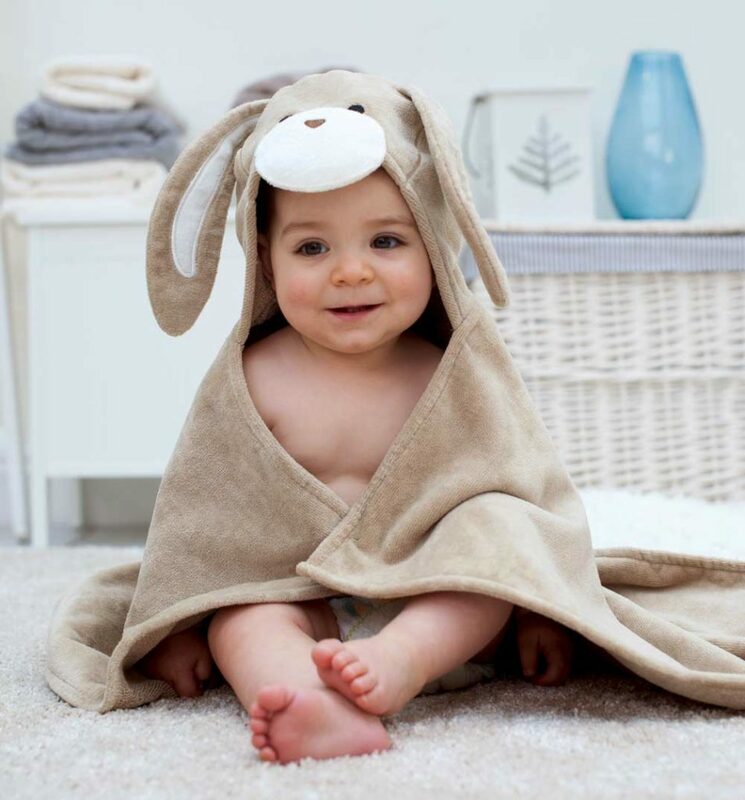 Lovely cute towel which made a great gift. Se corresponde con el artículo. 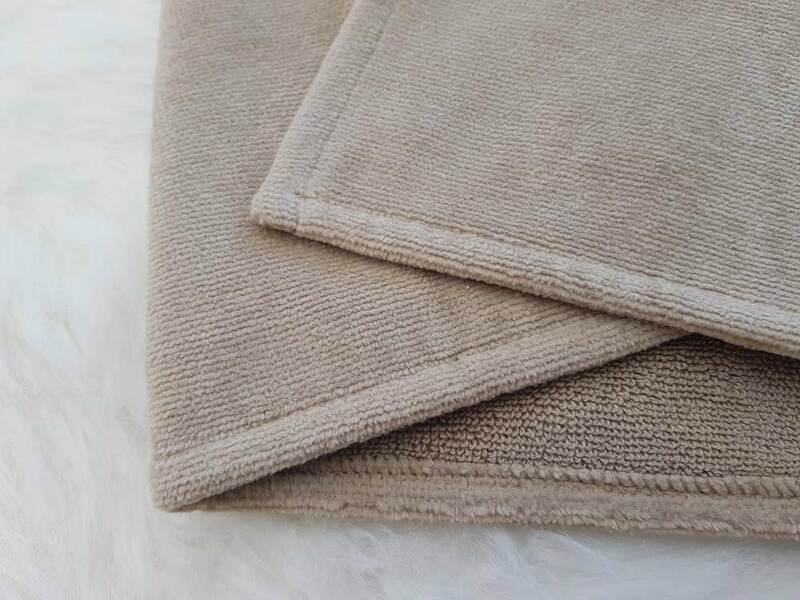 Perfecto para mi pequeña.